The belief that the Pilgrims came to America in search of religious freedom is inspiring, but it’s just not so. Thanksgiving is approaching, and before we turn on the football game or rush off to the mall, the more traditional among us will honor the day by reminding our families of the story of the Pilgrims. And in keeping with tradition, we’ll get much of the story wrong. Most of the inaccuracies will be trivial. In our mind’s eye, we’ll remember the Pilgrims decked out in black suits and enormous silver buckles, seated at a long table loaded with turkey and pumpkin pie. It would be more accurate to imagine them adorned in bright colors, seated on the ground, and enjoying turnips and eel, but these are superficial differences that don’t change the meaning of the story very much. That’s not the case with how we remember the Pilgrims’ reasons for coming to America. 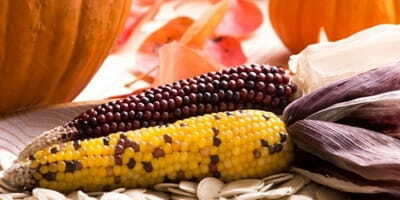 Many people being to wonder around Thanksgiving time why the pilgrims came to America. 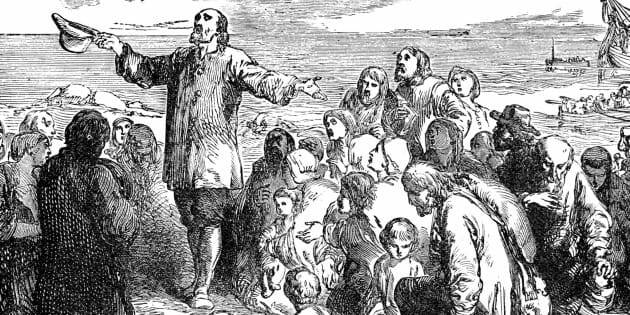 The belief that the Pilgrims came to America in search of religious freedom is inspiring, but it’s just not so. Religious persecution had prompted the Pilgrims to move from England to Holland in 1608, but none of the Pilgrim writers so much as hinted that a desire for greater religious freedom led them to leave Holland for America in 1620. 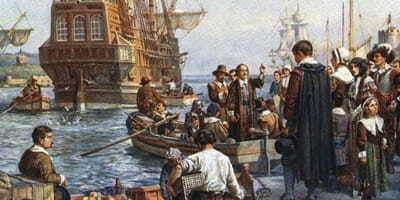 By their own account, Holland was a place where God had blessed them with “much peace and liberty.” They cited factors other than religious persecution in explaining their decision to seek a new home across the ocean. Boiled down, the Pilgrims had two major complaints about their experience in Holland and why they decided to come to America: (1) They found it a hard place to raise their children and (2) an even harder place to make a living. Dutch culture was too permissive, they believed. Pilgrim William Bradford commented on “the great licentiousness of youth” in Holland and lamented the “evil examples” and “manifold temptations of the place.” Compounding these challenges was what Bradford called “the hardness of the place.” Most Pilgrim families lived in houses with no more than a couple hundred square feet of floor space. The majority labored as textile workers, carding, spinning, or weaving in their own homes from dawn to dusk, six days a week, merely to keep body and soul together. The Pilgrims’ justification for relocating to America reminds me of Jesus’ parable of the sower. You remember how the sower casts his seed (the word of God), and it falls on multiple kinds of ground, not all of which prove fruitful. The seed that lands on stony ground sprouts immediately but the plant withers under the heat of the noonday sun. The seed cast among thorns springs up and then is choked by the surrounding weeds. The former, Jesus explained to His disciples, represents those who receive the word gladly, but stumble “when tribulation or persecution arises for the word’s sake” (Mark 4:17). The latter stands for those who allow the word to be choked by “the cares of this world, the deceitfulness of riches, and the desires for other things” (Mark 4:19). In emphasizing the Pilgrims’ supposed search for religious freedom, we make the primary menace in their story the heat of persecution. As the Pilgrims saw it, the principal threat that they faced in Holland was not the scorching sun, but strangling thorns. 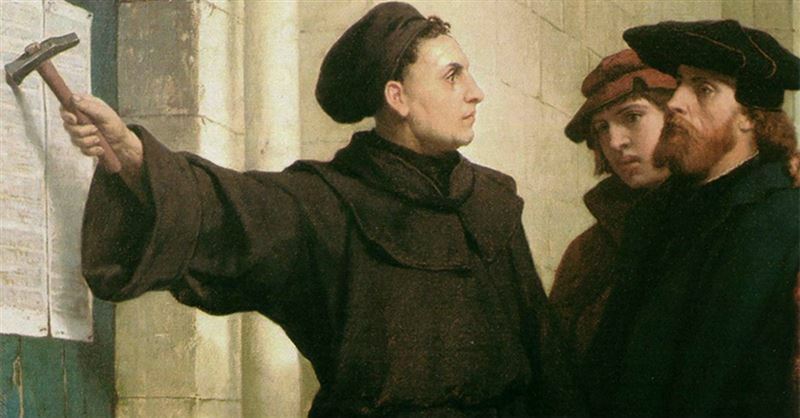 To their credit, they were determined not to let the cares of this world weaken their faith or undermine their church. This makes the Pilgrim story so much more relevant to us. When we hear of the Pilgrims’ resolve in the face of persecution in England, we may nod our heads admiringly and meditate on the courage of their convictions. Perhaps we will even ask ourselves how we would respond if, God forbid, we were to endure the same trial. And yet the danger seems so remote, the question so comfortably hypothetical. Whatever limitations we may chafe against in the public square, as Christians in the United States we don’t have to worry that the government will send us to prison unless we worship in the church that it chooses. In contrast, the Pilgrims’ struggle with “thorns” speaks to us where we live. Their hardships in Holland were so . . . ordinary. They worried about their children’s future. They feared the effects of a corrupt and permissive culture. They had a hard time making ends meet. They wondered how they would provide for themselves in old age. Can you relate to any of their worries? If so, I encourage you to revisit the Pilgrim story this Thanksgiving season with new eyes. Set aside the caricatures—the ridiculous hats and silly buckles—and see instead their courage and perseverance and the heavenly hope that undergirded both. The Pilgrims had their blind spots, but they were men and women of deep conviction who grappled with fundamental issues still relevant to us today. There is much in their example we might learn from. Robert Tracy McKenzie is professor and chair of the History Department at Wheaton College and president of the Conference on Faith and History, a national organization of Christian historians. He is the author of The First Thanksgiving: What the Real Story Tells Us about Loving God and Learning from History (IVP). McKenzie blogs at http://faithandamericanhistory.wordpress.com.